Have you dreamed of that second home? An escape from the hustle and bustle of the city, noise and traffic. This affordable is just what you need. 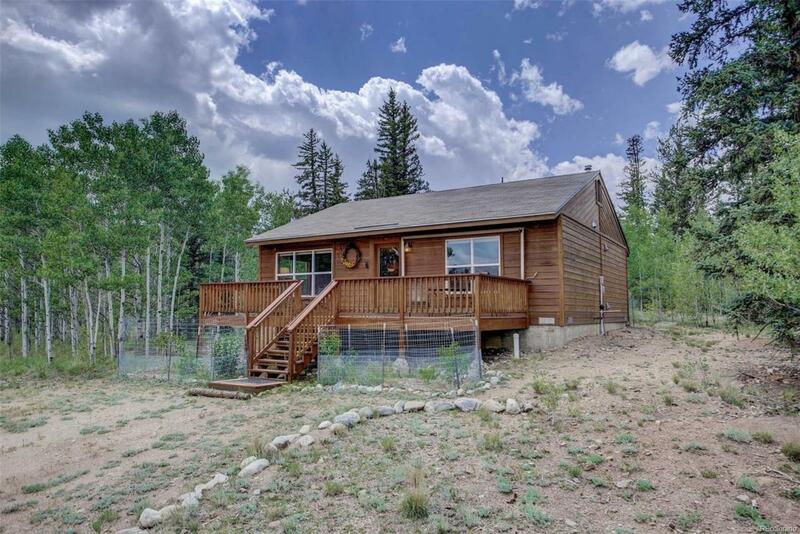 Nestled amongst the pines and aspens all in a location far enough away from the craziness of your everyday life but close enough that it will provide years of rejuvenating escapes. This mountain retreat sits back off the road and is tucked away on the property. On a large corner lot on a snow route provides year round access. A gas fireplace/stove a substantial source of heat in the winter. Hardwood floors, hickory cabinets and tiled counters. T&G aspen ceiling adds to the charm of this modern cabin. The master has access to the rear, new composite deck providing another level of enjoyment for those cool and breezy summer nights. The bedroom adjoins the bathroom with a hallway access also provided as well. At the front you will be sure to enjoy the newly installed cedar deck as you sit perched ready to welcome your friends and family.